This is one of the most melody driven albums I’ve heard for a while and one that doesn’t actually fit into a particular genre, although after numerous pleasurable listening sessions I get the feeling that it often has the sensibility of a country rock album. There are also traces of roots rock, a little indie rock, country, alt. country and quite possibly a few others that you the listener will pick up on. One thing I am sure of is that this, their fourth album, is by some distance the best recording of theirs that I’ve heard (out of three!) and there wasn’t much wrong with those others! As I’ve just called this excellent album ‘melody driven’ it shouldn’t be assumed the lyrics are not up to much. On the contrary songwriter, lead vocalist and guitarist Peter Hicks is a master of his craft, in many ways comparable to the Jayhawks Gary Louris; in fact those emotion tugging melodies have much in common with Louris’s post Olson band. Don’t buy this album thinking you are going to get Jayhawks clones though. 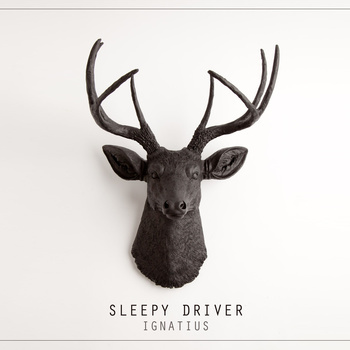 Sleepy Driver have very much their own style and individuality, it’s just that their music often stirs the emotions in a similar melancholic way to Minnesota’s finest! From Fredericton, New Brunswick, Canada the band is made up of the already mentioned Peter Hicks, Barry Hughes on drums and vocals, Mike Hatheway plays bass, John Heinstein, keyboards, Ethan Young-Lai, guitar and Dave Palmer on pedal steel. To supplement their sound on this recording they also used Tony Scott on mandolin on Rosalyn, Juanita Bourque added vocals and banjo also to Rosalyn and Shyanne McWilliams, additional vocals on All Roads. All songs were written by Peter Hicks except for Ignatius which was by Peter Hicks and Dave Palmer. All songs were arranged by the band and production, recording and mixing was courtesy of Peter Hicks and Ethan Young-Lai, so very much a band effort and boy does it show! There is an incredible tightness in everything this band does and they are masters of getting every drop of emotion out of every song, knowing instinctively what will appeal to the listeners, at least the ones that I’ve played the album to so far! Peter Hicks vocals and much of his writing is perfectly suited to the more melodic aspects of the various named sub genres, with those vocals being both warm and expressive, ensuring there is huge appeal in listening to a vocalist who doesn’t find it necessary to adopt any histrionics, instead allowing his mastery of the lyrics to carry the song along. Of course his job would be so much more difficult were it not for the expertise of his co band members who exhibit tremendous skill and sympathy for the music, contributing much to the emotional content of this incredibly ‘musical’ album. The album’s opening song I Know You Know I Know is a real beauty with a lovely restrained twangy start before Hicks excellent lead vocal comes in accompanied by keyboards on a sparse heartrending tale of a hopeless love that has to remain unrequited. It is a story that has been told many times before in a variety of guises but this song, thanks to the presentation, arrangement and the lead vocals does spark a strong feeling of sympathy for the subject and genuinely tugs at the heartstrings with the strong, if hopeless, emotional outpouring. Cold Black River has a perfect chugging beat with several changes of direction in the instrumentation giving the song variety. It has a nice moody acoustic guitar intro with an atmospheric lead vocal before the electric guitars join in on a catchy strong melodic song all aided by the excellent hard driving bass and percussion with some haunting harmonies on the chorus. Curtains is a quite stunning, slow and moody country rock ballad with crying steel guitar accompanied by acoustic guitar, bass and percussion but still having a haunting sparseness with Hicks excellent vocal and atmospheric harmonies bringing a lovely gentle feel to the song. All Roads is a beautiful country duet with gorgeous weeping steel guitar and Shyanne McWilliams beautiful vocals accompanying Hicks as the other half of the duet on this throwback to Gram and Emmylou. Final mention goes to Rosalyn a terrific, mellow mid tempo country rock song with tremendous banjo, guitar and harmonies and a catchy melody that could have been recorded decades ago by the New Riders of the Purple Sage, had it been written back then, a comparison that is probably appropriate on several of these excellent songs. If you love songs with strong melodies, excellent lyrics, skillful playing, evocative vocals and a large dash of individuality (and who doesn’t) you will love this album. In fact it is very likely you will enjoy their previous offerings as well; I did and still am!